Wow I feel like this week just flew by! Oh my goodness summer has finally arrived here in Chicago! So I wasn't sure exactly when and where I would wear this dress. Its so lovely and very ladylike. Totally perfect in every which way! I realized brunch or high tea would be the best place! Especially when it as ladylike as this one! So tell me do you own any ladylike dresses? That dress is too cute on you!! I'm now kicking myself for not buying it! 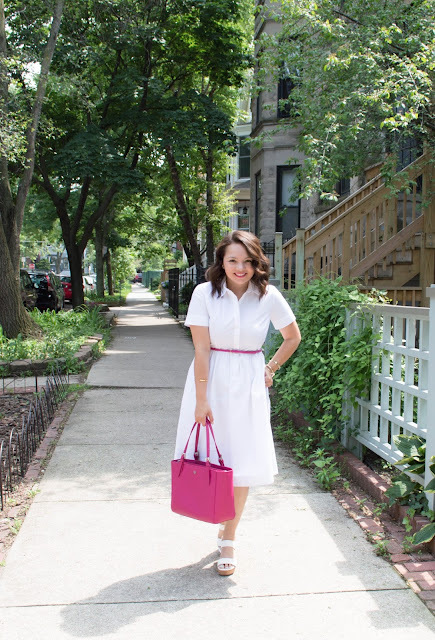 Love this dress with the pop of color! Such a pretty look! Lovely dress!! That style looks great on you ! Love ypur handbag!! Romantic and girly outfit! 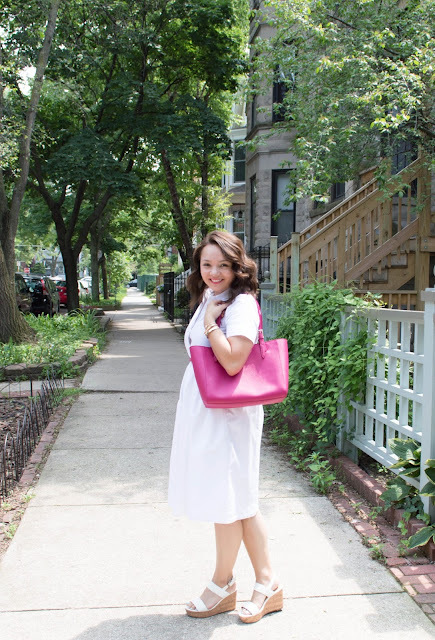 Love that hot pink purse! Such a sweet look, I love it! The color of your handbag is perfect!! Beautiful <3 Love the pink! 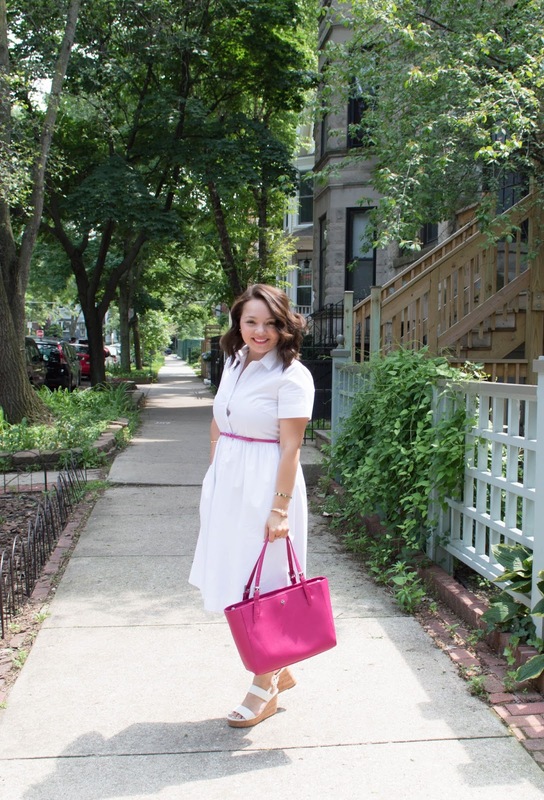 Great color combo, you are tres chic! What a great dress, you look beautiful! Beautiful dress! Your pink accessories are adorable - I love it! You look absolutely adorable...I love this white dress and the pops of pink are perfect! You look gorgeous! 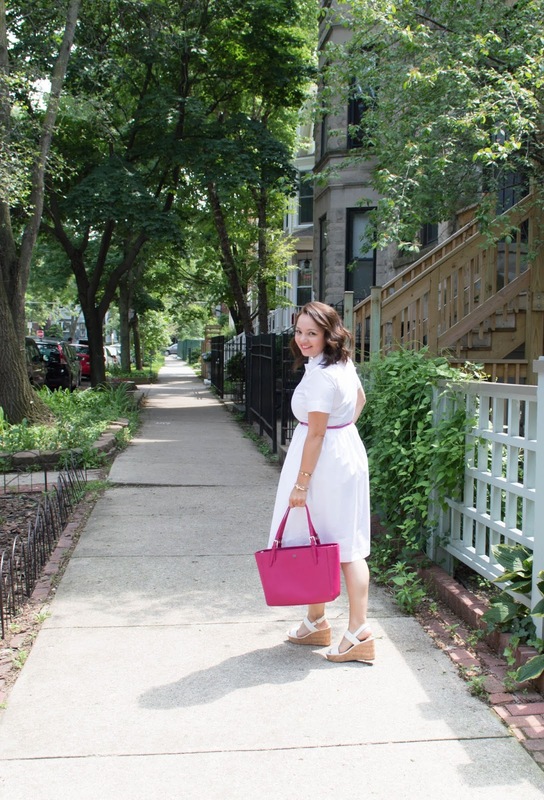 I love the white dress with the pops of pink - so cute and perfect for summer! So pretty! Love this dress on you! And the pop of pink! Cute, cute, cute! 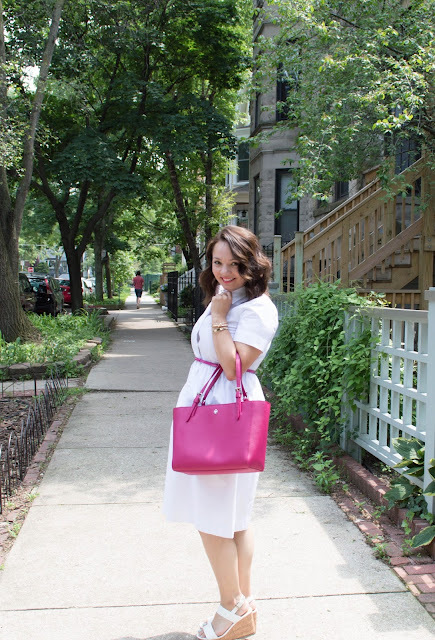 We absolutely love your whole look here, especially that beautiful pink purse!